Images from a visit to the relatively little-known northeast of India, which comprises the 'Seven Sisters' states of Assam, Arunachal Pradesh, Meghalaya, Mizoram, Manipur, Tripora and Nagaland, in that 'fist' of eastern India which appears to wrap around independent Bangladesh. This trip kicked off at the 5th International Tourism Mart for the North East Region staged in Imphal, capital of Manipur State (near the Burmese border). West Bengal and Sikkim states also took part. 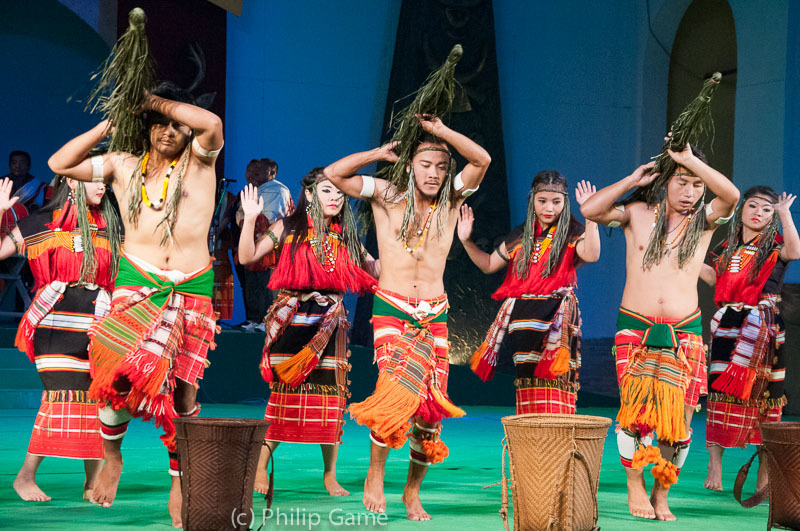 First group of images is a selection from the hour-long Colours of Northeast India cultural performance, a showcase of the many tribal and regional cultures of the region, staged within the concurrent Sangai Festival. This spectacular performance was choreographed by the musicologist Dr Prasanna Gogoi, to whom our party was later introduced. The post-conference excursions were a major drawcard for foreign media participants, in my case a road journey to the Tawang Valley near the border with Chinese-occupied Tibet. These images were taken with Nikon D300 using RAW format, and are available for licensing. Please visit www.travelgame.org.